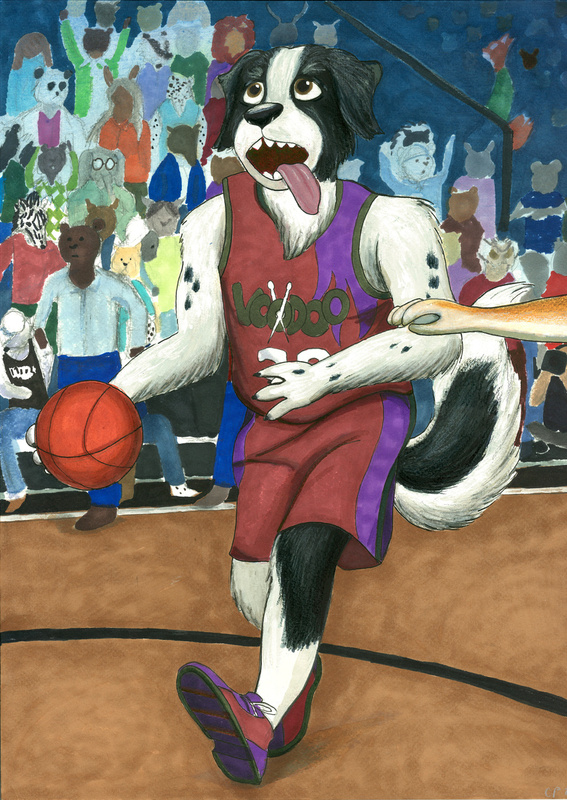 Commission for Farallon of FA showing his pro-basketball-playin' Landseer dog Jack Hinks. Here, he's in full effect as the center for the furry team the Biloxi Voodoo. I'm reminded by this snapshot portrait how I first got clued into your art (and you) via your work for the old FBA over That Other Site.